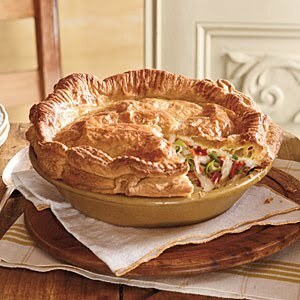 Yesterday a dear friend brought us a homemade chicken pot pie-It was divine! We savored every bite-what a fabulous cook she is! A week before we got to try a Shepard's Pie and it was fantastic! So I thought I would post a recipe to share and try! hands-on time: 35 min. total time: 1 hr., 45 min.